Dr. Ambrose is the Smeal Professor of Real Estate and Director of the Institute for Real Estate Studies at the Pennsylvania State University. Prior to joining Penn State University, Dr. Ambrose was the Director of the Center for Real Estate Studies and Professor of Finance at the University of Kentucky where he held the Kentucky Real Estate Professorship. 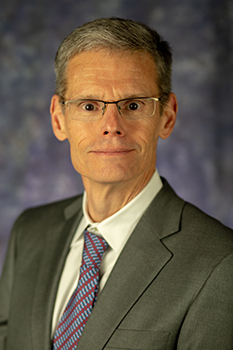 In addition, Dr. Ambrose was an Associate Professor at the University of Wisconsin-Milwaukee where he directed the UWM real estate program and from 1997 to 1998 he was a Visiting Associate Professor and Research Fellow at the University of Pennsylvania Wharton School of Business. In 2010, Dr. Ambrose was elected President of the American Real Estate and Urban Economics Association (AREUEA) and served as the Executive Vice President of AREUEA from 1996 to 2003. In 2003, he was elected a Fellow of the Weimer School of Advanced Studies in Real Estate and Land Economics at the Homer Hoyt Advanced Studies Institute. In 2004, he was elected a Fellow of the Real Estate Research Institute and in 2006 he was appointed a Fellow of the FDIC Center for Financial Research. Currently, Dr. Ambrose serves on the editorial boards of the Journal of Real Estate Finance and Economics, the Journal of Real Estate Research, the International Real Estate Review, and Real Estate Economics, and is a member of the board of directors for the Real Estate Research Institute and the American Real Estate and Urban Economics Association. Dr. Ambrose specializes in real estate finance, corporate finance, and fixed income security analysis. His research interests include issues related to Real Estate Investment Trusts (REITs), loss mitigation programs associated with mortgage default and foreclosure, Government Sponsored Enterprises (GSEs), fixed-income securities, and consumer credit contracts. Dr. Ambrose has consulted with the U.S. Department of Housing and Urban Development and the Congressional Budget Office on several occasions regarding issues concerning FHA mortgage default and foreclosure, economically targeted assets, privatization of Fannie Mae and Freddie Mac, and the GSEs affordable housing goals. Dr. Ambrose has published extensively in the fields of real estate and finance. His work appears in The Journal of Money Credit and Banking, The Journal of Financial Intermediation, The Journal of Real Estate Finance and Economics, Journal of Financial and Quantitative Analysis, Journal of Financial Services Research, Financial Management, Financial Analysts Journal, Real Estate Economics, Regional Science and Urban Economics, Journal of Real Estate Research, Journal of Urban Economics, Journal of Housing Economics, Journal of Housing Research, The Wharton Real Estate Review, and Cityscape: A Journal of Policy Development and Research. In addition, Dr. Ambrose is co-editor of Household Credit Usage: Personal Debt and Mortgages, published by Palgrave/MacMillian. Dr. Ambrose holds a Ph.D. and M.B.A. from the University of Georgia and a B.S. in Business from Wake Forest University. Analysis of publicly-traded real estate of both the equity, (REITs) and debt (MBSs) sides. The course also provides international perspectives. FIN (R M) 470 Real Estate and Capital Markets (3) The objectives of this course are to expose the student and explore the issues associated with the analysis of "public" ("Wall Street") real estate, including both equities (such as Real Estate Investment Trusts or REITs) and debt vehicles (such as Mortgage-Backed Securities or MBSs). In addition, the course will focus on the increasingly globalization of real estate capital markets as the real estate sector becomes integrated into the global financial system. The differences between private and public real estate analysis will also be explored, including the suitability of traditional asset pricing models for real estate analysis. Topics include the growing impact of institutional real estate forces on the real estate sector, the use of modern financial economics methods to real estate including the concept of market efficiency, modern portfolio theory applications, market measures of risk and return, the use of option-based models, and other advances. The rise of Wall Street's interest in real estate securities is an important institutional development and serves as the underlying background for the analysis of MBSs using fixed-income security techniques. As globalization has spread, the real estate sector has moved with these changes and prospects for a global real estate market are examined and evaluated. This course serves as a compliment to FIN 460, which emphasizes traditional financial analyses of individual real estate projects. In FIN 470, real estate securities are viewed as a natural extension towards the complete integration of real estate and capital markets. In this sense, these courses will enable traditional and modern analyses of the real estate sector for years to come. This course will survey readings in the modern theory of real estate and finance. This will be an advanced course in Real Estate for PhD students. Analysis of publicly-traded real estate of both the equity, (REITs) and debt (MBSs) sides. The course also provides international perspectives. Historical performance, land use issues, market valuation, real estate development, public policy issues. Ambrose B. W., Mansley N., Fuerst F., Wang Z., "Assessing Size Effects and Economies of Scale in European Real Estate Companies." Global Finance Journal, vol. in press, 2019, doi.org/10.1016/j.gfj.2019.04.004. Ambrose B. W., Agarwal S., Yao V., "Can Regulation De-bias Appraisers?." Journal of Financial Intermediation, 2019. Ambrose B. W., Steiner E., "Economic Fundamentals, Capital Expenditures and Asset Dispositions." Journal of Real Estate Finance and Economics, 2019. Ambrose B. W., Diop M., Thibodeau M., D'Lima W., "Risk and Performance of Mutual Funds’ Securitized Mortgage Investments." Journal of Real Estate Finance and Economics, 2018. Ambrose B. W., Yuan Z., "Pricing Government Credit: A New Method For Determining Government Risk Exposure." Federal Reserve Bank of New York Economic Policy Review, vol. 24, no. 3, 2018, pp. 41-62, Invited. Ambrose B. W., Diop M., "Information Asymmetry, Regulations, and Equilibrium Outcomes: Theory and Evidence from the Housing Rental Market." Real Estate Economics, 2018. Ambrose B. W., Yoshida J., Coulson N., "Reassessing Taylor Rules Using Housing Rent Data." Journal of Macroeconomics, vol. 56, 2018, pp. 243-257. Ambrose B. W., Shafer M., Yildirim Y., "The Impact of Tenant Diversification on Spreads and Default Rates for Mortgages on Retail Properties." Journal of Real Estate Finance and Economics, vol. 56, no. 1, 2018, pp. 1-32. Ambrose B. W., Diop M., Yoshida J., "Product Market Competition and Corporate Real Estate Investment under Demand Uncertainty." Real Estate Economics, vol. 45, no. 3, 2017, pp. 521-590. Ambrose B. W., Agarwal S., Yao V., "Lender Steering in Residential Mortgage Markets." Real Estate Economics, 2017. Ambrose B. W., Emmerling T., Huang H., Yildirim Y., "Capital Structure and the Substitutability versus Complementary Nature of Leases and Debt." Review of Finance, 2016. Agarwal S., Ambrose B. W., Chomsisengphet S., Liu C., "Joint Liability Lending and Credit Risk: Evidence from the Home Equity Market." Journal of Housing Economics, vol. 32, 2016, pp. 47-66. Ambrose B. W., Conklin J. N., Yoshida J., "Credit Rationing, Income Exaggeration, and Adverse Selection in the Mortgage Market." Journal of Finance, vol. 71, no. 6, 2016, pp. 2637-2685. Ambrose B. W., D'Lima W., "Real Estate Risk and Hedge Fund Returns." Journal of Real Estate Finance and Economics, vol. 52, no. 3, 2016, pp. 197-225. Ambrose B. W., Yavas A., Sanders A., "Servicers and Mortgage-Backed Securities Default: Theory and Evidence." Real Estate Economics, vol. 44, no. 2, 2015, pp. 462-489. Ambrose B. W., Case B., Ong S. E., "Introduction to the Special Issue." REAL ESTATE ECONOMICS, vol. 43, no. 1, 2015, pp. 1-7. Agarwal S., Ambrose B. W., Yildirim Y., "The Subprime Virus." REAL ESTATE ECONOMICS, vol. 43, no. 4, 2015, pp. 891-915. Ambrose B. W., Diop M., "Spillover Effects of Subprime Mortgage Originations: The Effects of the Single-family Mortgage Credit Expansion on the Multifamily Rental Market." Journal of Urban Economics, vol. 81, 2014, pp. 114-135. Ambrose B. W., Conklin J. N., "Mortgage Brokers, Origination Fees, Price Transparency and Competition." Real Estate Economics, vol. 41, no. 3, 2014. Ambrose B. W., Agarwal S., "Evidence of the Effect of Advertising on Home Equity Decisions." Research Handbook on Behavioral Law and Economics, 2013. Ambrose B. W., Eichholtz P., Lindenthal T., "House Prices and Fundamentals: 355 Years of Evidence." Journal of Money, Credit and Banking, vol. 45, 2013, pp. 477-491. Ambrose B. W., King D., Cheng Y., "The Financial Crisis, Temporary Liquidity Guarantee Program, and the Impacts on the Fixed-Income Markets." Journal of Fixed Income, vol. 23, no. 2, 2013, pp. 5-26. Ambrose B. W., Cai K., Helwege J., "Fallen Angels and Price Pressure." Journal of Fixed Income, vol. 21, no. 3, 2012, pp. 74-86. Ambrose B. W., Buttimer, Jr. R., "The Adjustable Balance Mortgage: Reducing the Value of the Put." REAL ESTATE ECONOMICS, vol. 40, no. 3, 2012, pp. 536-565. Ambrose B. W., Buttimer, Jr R. J., "The Adjustable Balance Mortgage: Reducing the Value of the Put"." Real Estate Economics, vol. 40, no. 2, 2012, pp. 536-565. Agarwal S., Ambrose B. W., Chomsisengphet S., Sanders A. B., "Thy Neighbor’s Mortgage: Does Living in a Subprime Neighborhood Affect One’s Probability of Default?." REAL ESTATE ECONOMICS, vol. 40, no. 1, 2012, pp. 1-22. Ambrose B. W., "Do Bubbles Always Pop?." Real Estate Research @ Penn State, 2012, pp. 4-7. Ambrose B. W., "Strange Days Indeed." Real Estate Research @ Penn State, 2012, pp. 2-4. Agarwal S., Ambrose B. W., Chomsisengphet S., Liu C., "The Role of Soft Information in a Dynamic Contract Setting: Evidence from the Home Equity Credit Market." JOURNAL OF MONEY CREDIT AND BANKING, vol. 43, no. 4, 2011, pp. 633-655. Agarwal S., Ambrose B. W., Huang H., Yildirim Y., "The Term Structure of Lease Rates with Endogenous Default Triggers and Tenant Capital Structure: Theory and Evidence." JOURNAL OF FINANCIAL AND QUANTITATIVE ANALYSIS, vol. 46, no. 2, 2011, pp. 553-584. Agarwal S., Ambrose B. W., Chomsisengphet S., Liu C., "The Role of Soft Information in a Dynamic Contract Setting: Evidence from the Home Equity Market." Journal of Money, Credit and Banking, vol. 43, no. 4, 2011, pp. 633-655. Agarwal S., Ambrose B. W., Chomsisengphet S., Sanders A. B., "Thy Neighbor's Mortgage: Does Living in a Subprime Neighborhood Effect One's Probability of Default?." Real Estate Economics, vol. 40, no. 1, 2011, pp. 1-22. 2009 Best Paper Award at the Structural Issues Facing Real Estate Investment Trusts Conference, Baruch College, New York, NY..
Ambrose B. W., "The Home Building Industry: How did we get here?." Real Estate Research@ Penn State, 2010. Ambrose B. W., Bian X., "Stock Market Information and REIT Earnings Management." JOURNAL OF REAL ESTATE RESEARCH, vol. 32, no. 1, 2010, pp. 101-137. Ambrose B. W., Lee D. W., "REIT Capital Budgeting and Equity Marginal q." REAL ESTATE ECONOMICS, vol. 37, no. 3, 2009, pp. 483-514. Ambrose B. W., Lee D. W., "REIT Capital Budgeting and Marginal Q." Real Estate Economics, vol. 37, no. 3, 2009, pp. 583-514. Ambrose B. W., "The 'Current' REIT Paradox." Real Estate Research@ Penn State, 2009. Ambrose B. W., Yildirim Y., "Credit risk and the term structure of lease rates: A reduced form approach." JOURNAL OF REAL ESTATE FINANCE AND ECONOMICS, vol. 37, no. 3, 2008, pp. 281-298. Ambrose B. W., Peek J., "Credit Availability and the Structure of the Homebuilding Industry." REAL ESTATE ECONOMICS, vol. 36, no. 4, 2008, pp. 659-692. 2008 Edwin Mills Award for Best Paper in Real Estate Economics..
Agarwal S., Ambrose B. W., Chomsisengphet S., "Determinants of Automobile Loan Default and Prepayment." Federal Reserve Bank of Chicago Economic Perspectives, vol. 3Q, 2008, pp. 17-28. Ambrose B. W., Cai N., Helwege J., "Forced Selling of Fallen Angels." Journal of Fixed Income, vol. 18, no. 1, 2008, pp. 72-85. Ambrose B. W., Lusht K., "Overview of the Commercial Real Estate Industry." National Association of Real Estate Investment Trusts (NAREIT), 2008. Agarwal S., Ambrose B. W., Household Credit Usage: Personal Debt and Mortgages, (Palgrave/MacMillian), 2007. Agarwal S., Ambrose B. W., Chomsisengphet S., "ASYMMETRIC INFORMATION AND THE AUTOMOBILE LOAN MARKET." 2007, pp. 93-116. Agarwal S., Ambrose B. W., "Household Finance and the Financial Decision Making Process." Household Credit Usage: Personal Debt and Mortgages, (Palgrave/MacMillian), 2007. Agarwal S., Ambrose B. W., "HOUSEHOLD FINANCE AND THE FINANCIAL DECISION-MAKING PROCESS." 2007, pp. 3-9. Ambrose B. W., Lee D. W., Peek J., "Comovement after joining an index: Spillovers of nonfundamental effects." REAL ESTATE ECONOMICS, vol. 35, no. 1, 2007, pp. 57-90. Ambrose B. W., Lee D. W., Peek J., "Industry Comovement after Joining an Index: Spillovers of Nonfundamental Effects." Real Estate Economics, vol. 35, no. 1, 2007, pp. 57-90. Ambrose B. W., Boyle P., Cassidy H. J., Yang T., "Mortgage Insurance: An Evaluation of Methods of Determining Capital Requirements." IFE Group White Paper, 2007. Ambrose B. W., Cassidy H., Yang T., "The Measurement of Mortgage Credit Risk in the United States: Implications for Emerging Mortgage Markets." U.S. Department of Housing and Urban Development, 2007. Agarwal S., Ambrose B. W., Chomsisengphet S., Liu C., "An empirical analysis of home equity loan and line performance." JOURNAL OF FINANCIAL INTERMEDIATION, vol. 15, no. 4, 2006, pp. 444-469. Agarwal S., Ambrose B., Liu C., "Credit lines and credit utilization." JOURNAL OF MONEY CREDIT AND BANKING, vol. 38, no. 1, 2006, pp. 1-22. Ambrose B., Buttimer R., "GSE impact on rural mortgage markets." REGIONAL SCIENCE AND URBAN ECONOMICS, vol. 35, no. 4, 2005, pp. 417-443. Ambrose B. W., "Forced development and urban land prices." JOURNAL OF REAL ESTATE FINANCE AND ECONOMICS, vol. 30, no. 3, 2005, pp. 245-265. Ambrose B., Sanders A., "Legal restrictions in personal loan markets." JOURNAL OF REAL ESTATE FINANCE AND ECONOMICS, vol. 30, no. 2, 2005, pp. 133-151. Ambrose B., LaCour-Little M., Huszar Z., "A note on hybrid mortgages." REAL ESTATE ECONOMICS, vol. 33, no. 4, 2005, pp. 765-782. Ambrose B., Highfield M., Linneman P., "Real estate and economies of scale: The case of REITs." REAL ESTATE ECONOMICS, vol. 33, no. 2, 2005, pp. 323-350. Ambrose B., Thibodeau T., "Have the GSE affordable housing goals increased the supply of mortgage credit?." REGIONAL SCIENCE AND URBAN ECONOMICS, vol. 34, no. 3, 2004, pp. 263-273. Ambrose B., LaCour-Little M., Sanders A., "The effect of conforming loan status on mortgage yield spreads: A loan level analysis." REAL ESTATE ECONOMICS, vol. 32, no. 4, 2004, pp. 541-569. Ambrose B., Sanders A., "Commercial mortgage-backed securities: Prepayment and default." JOURNAL OF REAL ESTATE FINANCE AND ECONOMICS, vol. 26, 2003, pp. 179-196. Ambrose B., Kim S., "Modeling the Korean chonsei lease contract." REAL ESTATE ECONOMICS, vol. 31, no. 1, 2003, pp. 53-74. Ambrose B., Benjamin J., Chinloy P., "Bank and nonbank lenders and the commercial mortgage market." JOURNAL OF REAL ESTATE FINANCE AND ECONOMICS, vol. 26, no. 1, 2003, pp. 81-94. Ambrose B., Warga A., "Measuring potential GSE funding advantages." JOURNAL OF REAL ESTATE FINANCE AND ECONOMICS, vol. 25, 2002, pp. 129-150. Ambrose B., King T., "GSE debt and the decline in the treasury debt market." JOURNAL OF MONEY CREDIT AND BANKING, vol. 34, 2002, pp. 812-839. Ambrose B., Hendershott P., Klosek M., "Pricing upward-only adjusting leases." JOURNAL OF REAL ESTATE FINANCE AND ECONOMICS, vol. 25, no. 1, 2002, pp. 33-49. Ambrose B., Pennington-Cross A., Yezer A., "Credit rationing in the US mortgage market: Evidence from variation in FHA market shares." JOURNAL OF URBAN ECONOMICS, vol. 51, no. 2, 2002, pp. 272-294. Ambrose B., Buttimer R., Thibodeau T., "A new spin on the jumbo/conforming loan rate differential." JOURNAL OF REAL ESTATE FINANCE AND ECONOMICS, vol. 23, no. 3, 2001, pp. 309-335. Ambrose B., Capone C., Deng Y., "Optimal put exercise: An empirical examination of conditions for mortgage foreclosure." JOURNAL OF REAL ESTATE FINANCE AND ECONOMICS, vol. 23, no. 2, 2001, pp. 213-234. Ambrose B., LaCour-Little M., "Prepayment risk in adjustable rate mortgages subject to initial year discounts: Some new evidence." REAL ESTATE ECONOMICS, vol. 29, no. 2, 2001, pp. 305-327. Ambrose B., Pennington-Cross A., "Local economic risk factors and the primary and secondary mortgage markets." REGIONAL SCIENCE AND URBAN ECONOMICS, vol. 30, no. 6, 2000, pp. 683-701. Ambrose B., Buttimer R., "Embedded options in the mortgage contract." JOURNAL OF REAL ESTATE FINANCE AND ECONOMICS, vol. 21, no. 2, 2000, pp. 95-111. Ambrose B., Capone C., "The hazard rates of first and second defaults." JOURNAL OF REAL ESTATE FINANCE AND ECONOMICS, vol. 20, no. 3, 2000, pp. 275-293. Ambrose B., Ehrlich, SR, Hughes W., Wachter S., "REIT economies of scale: Fact or fiction?." JOURNAL OF REAL ESTATE FINANCE AND ECONOMICS, vol. 20, no. 2, 2000, pp. 211-224. Ambrose B., Goetzmann W., "Risks and incentives in underserved mortgage markets." JOURNAL OF HOUSING ECONOMICS, vol. 7, no. 3, 1998, pp. 274-285. Ambrose B., Capone C., "Modeling the conditional probability of foreclosure in the context of single-family mortgage default resolutions." REAL ESTATE ECONOMICS, vol. 26, no. 3, 1998, pp. 391-429. Ambrose B., Buttimer R., Capone C., "Pricing mortgage default and foreclosure delay." JOURNAL OF MONEY CREDIT AND BANKING, vol. 29, no. 3, 1997, pp. 314-325. Ambrose B., Capone C., "Cost-benefit analysis of single-family foreclosure alternatives." JOURNAL OF REAL ESTATE FINANCE AND ECONOMICS, vol. 13, no. 2, 1996, pp. 105-120. Ambrose B., Benjamin J., Chinloy P., "Credit restrictions and the market for commercial real estate loans." REAL ESTATE ECONOMICS, vol. 24, no. 1, 1996, pp. 1-22. Ambrose B., Warga A., "Pricing effects in Fannie Mae agency bonds." JOURNAL OF REAL ESTATE FINANCE AND ECONOMICS, vol. 11, no. 3, 1995, pp. 235-249. Ambrose B. W., SPRINGER T., "SPATIAL VARIATION OF NONMETROPOLITAN INDUSTRIAL-LOCATION." JOURNAL OF REAL ESTATE FINANCE AND ECONOMICS, vol. 7, no. 1, 1993, pp. 17-27. Ambrose B. W., MEGGINSON W., "THE ROLE OF ASSET STRUCTURE, OWNERSHIP STRUCTURE, AND TAKEOVER DEFENSES IN DETERMINING ACQUISITION LIKELIHOOD." JOURNAL OF FINANCIAL AND QUANTITATIVE ANALYSIS, vol. 27, no. 4, 1992, pp. 575-589. Ambrose B. W., WINTERS D., "DOES AN INDUSTRY EFFECT EXIST FOR LEVERAGED BUYOUTS." FINANCIAL MANAGEMENT, vol. 21, no. 1, 1992, pp. 89-101. Ambrose B. W., ANCEL E., GRIFFITHS M., "THE FRACTAL STRUCTURE OF REAL-ESTATE INVESTMENT TRUST RETURNS - THE SEARCH FOR EVIDENCE OF MARKET-SEGMENTATION AND NONLINEAR DEPENDENCY." JOURNAL OF THE AMERICAN REAL ESTATE AND URBAN ECONOMICS ASSOCIATION, vol. 20, no. 1, 1992, pp. 25-54. Ambrose B. W., MONE M., "A TEST OF THE EFFICIENCY OF PARAMETER-ESTIMATION FROM CROSS-SECTION TIME-SERIES DATA WITH RANDOMLY MISSING DATA." 1991, pp. 748-750.